Daniel (Dan) Hill, 69, of East Hardwick, VT passed away on September 19, 2018 at his home. Dan was born on September 5, 1949 in St. Johnsbury, VT. He was the youngest of four sons belonging to the late William and Doris Hill. Dan was proud to grow up in Hardwick and attended Hardwick Academy. While there, he was a member of two state champion baseball teams, which he talked about often. 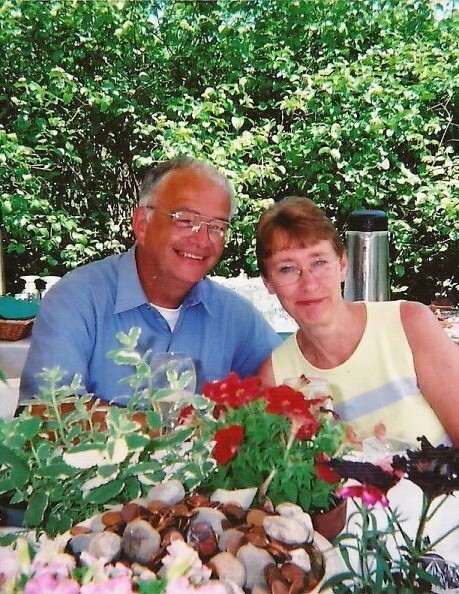 He also met his high school sweetheart who would become the love of his life for nearly 50 years, Diane Strong of Walden. They made a wonderful couple who were the best parents that any kids could ask for and made family their world. After graduating high school in 1967, Dan attended Champlain College and graduated in 1969. He then held a handful of management positions throughout his life including a long stretch at St. Johnsbury Trucking. He later served terms as the Hardwick Town Manager and the Lyndon Town Administrator. He enjoyed the challenges and opportunities to help local people. When Dan's two sons were young, he began coaching baseball. This would become a passion for him. Coaching from the Little League level up to varsity at Hazen Union School. His relationships with his players were very important to him. Dan is survived by two older brothers: Bill of Hardwick and Steve of Wolcott, two sons and daughters in-law (who he considered daughters): Travis and Dorothy of East Hardwick and Aaron and Vicki of East Hardwick. Dan is also survived by four grandchildren of whom he was extremely proud: Letitia, Carter, Xavier, and Lincoln. There are also countless former baseball players spanning thirty years. He was predeceased by his brother James, and his much loved wife Diane. In all likelihood, Dan and Diane are now reunited and walking together to a baseball diamond somewhere where Dan can meet up with his boyhood hero and Little League coach Dump Donlin. He can introduce Dump to his star baseball player, Tristan Southworth. "Dumpie" will be very impressed. There will be a graveside service for family and friends at 1:00 on Sunday, October 7, at the Hardwick Street Cemetery. A reception at the Hazen Union Cafeteria will directly follow the service. The des Groseilliers Funeral Home is in care of arrangements. Please visit dgfunerals.com for detailed service information and to send online condolences.